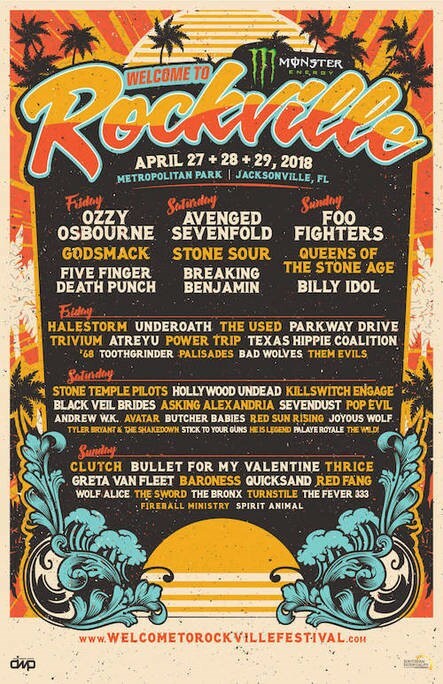 The lineup of festival experiences has been announced for the eighth annual Monster Energy Welcome To Rockville, Friday, April 27, Saturday, April 28 & Sunday, April 29, 2018, at Metropolitan Park in Jacksonville, FL. Beverages: Festivalgoers 21+ can enjoy a variety of beverages at one of the festival’s many bar locations. 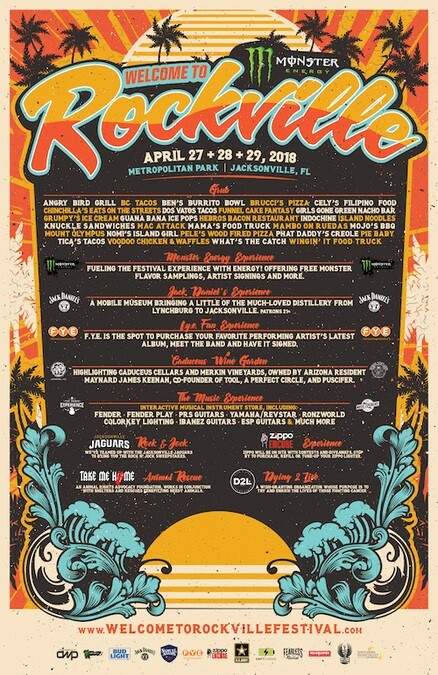 Specialty experiences include Caduceus Cellars & Merkin Vineyards Wine Garden (owned by Arizona resident Maynard James Keenan, co-founder of international recording acts Tool, A Perfect Circle, and Puscifer) and the Heavy Tiki Bar (a tropical oasis filled with killer island cocktails and shade). Guests can also stop by Mrkt N Jolt to grab a hot coffee, cold brew or other sundry items. Bud Light, Samuel Adams Sam ’76, and Jack Daniel’s will be available throughout the festival grounds. Monster Energy: Stop by the Monster viewing deck to refuel and meet some of your favorite Monster Energy artists! Monster Energy will be keeping attendees fueled up and ready to rock all weekend long. Enjoy Monster Energy drinks from their viewing deck, one of the best seats in the house. Make sure to check back throughout the festival for a schedule of Monster Energy’s interactive artist experiences.